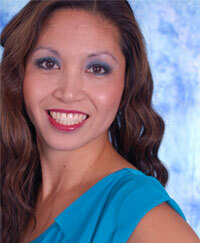 Rosier was born and raised in Canada where she took up ballet, jazz, and tap. She attended workshops and completed exams in Cecchetti Method at the National Ballet School of Canada. In 1993 Rosier moved to California to attend university where she got her AA Degree in Los Angeles City College and B.A. Degree in fine arts at Loyola Marymount University. She has been with Stepping Out Studio since the beginning and has put a lot of time and dedication throughout the years. Rosier enjoys teaching classes and continues her passion for dance through her students that continue to inspire her each day. With ballet training as being her forte in dance, her classes are designed for different levels of skill and abilities which ballet is the foundation for all styles of dance.